Elk Grove motorist are being advised to expect traffic delays starting next Tuesday, August 25 on Elk Grove-Florin Road between Valley Oak Land and East Stockton Boulevard. The delays will be caused by the planned removal of several trees. 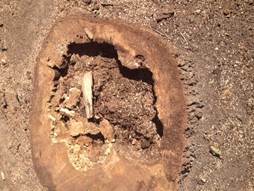 According to the City of Elk Grove, up to 14 trees will be removed after two independent arborist determined they pose a public safety hazard due to disease. Earlier this month five trees were removed after they were determined to be an imminent safety hazard. These trees have been marked with yellow caution tape for public and City identification. Maintenance pruning for other trees in the area will be done during the first two weeks in September. Message boards have been placed on Elk Grove-Florin to alert motorists of the upcoming work. Motorists can expect lane closures and traffic control in effect during the tree removal process.